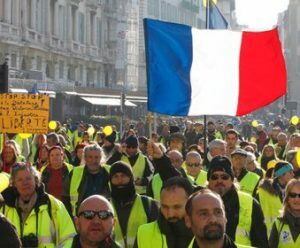 opposition parliamentarians surprisingly banded together to vote in favor of holding a referendum on the sell-off of all three airports in the Paris area. 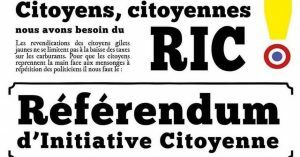 Swiss-style RICs – citizens’ initiative referendums – is the primary democratic-structural demand of the Vesters; the fact that one might now take place is undoubtedly due to their agitation. civil disobedience on the Champs-Elysées the day after the National Debate was supposed to end, March 16, even burning down a bank, though I was truly the only one to properly explain why (and at the bank!). 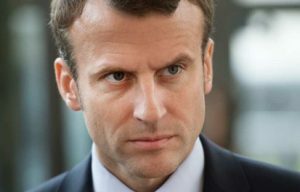 So this week Macron unveiled his “conclusions” of the 2.5-month talk-fest, which were, essentially: “It’s good to know that I’ve been right all along!” He was clearly hoping the media would focus on his technocratic rightness, instead of giving column inches and air time to the airport sell-off. 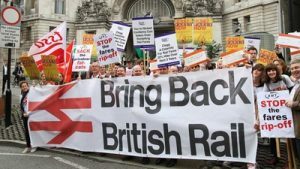 same effect the UK experienced after denationalising their railways: a season ticket is now 5 times higher than on the Continent, with time-keeping, safety and comfort all worse, too. In the US you have headlines like this one last year from St. Louis: Lambert (airport) privatisation looks like Chicago’s parking meter disaster.